This match made in early aughts heaven really deserves a soiree that reawakens the spirit of their millennium-born love. Benji Madden and Cameron Diaz are supposedly getting married Monday night, and their wedding is gonna be tight — as the popular boys in my eighth grade class of '03 would say. I'm imagining that the wedding dress will be spaghetti-strapped, the tux will be Dickies, and the groomsmen will all be wearing Hot Topic. As far as their first dance goes, they'll need a fitting tune for the occasion and theme. 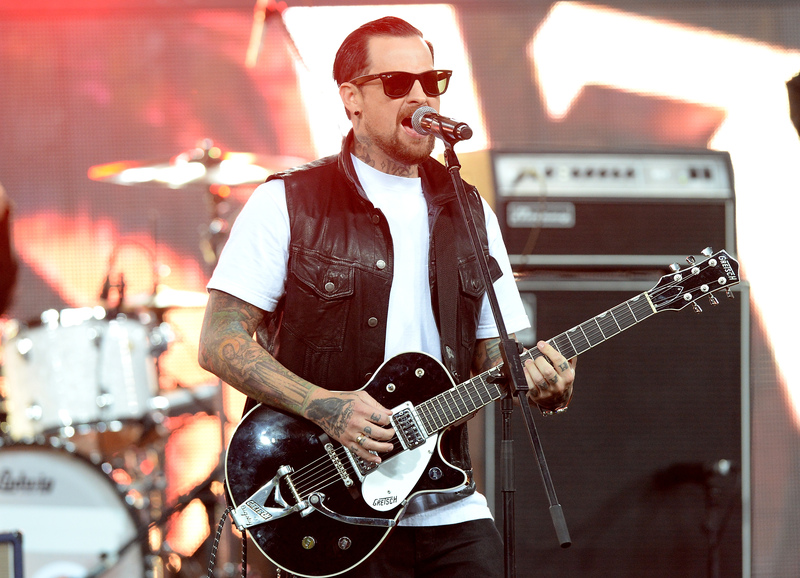 Is there are better place to turn than the work of Benji Madden's own band, Good Charlotte? Of course not! They're one of the defining pop punk bands of the 2000s. (Don't be jealous Simple Plan. You're on the list too). Being the (likely) best man, I'm sure Joel Madden would be happy to oblige the lovebirds in a live performance of "The Anthem" or "I Just Wanna Live." Then, he'll turn it right back over to DJ Lance Bass, who'll be spinning the top 100 songs of the year that Madden met Diaz. There's gonna be a whole lotta Nelly up in that party. Because there are SO many to choose from, let's speculate which old school Good Charlotte song will forevermore be known ad Benji and Cameron's song. While the subject matter of "The Anthem" may not be the most apropos, this would be a great track to force all of their friends to join in to dance to at the 3/4 mark. I mean, they should be themselves and all. However, choosing this song would be extremely smug. It would be like saying "everyone cares SO MUCH about us." I don't see them opting for this guy. On the other side of the coin, I don't think they'll want to choose such a self-referential tune for their first dance. Also, I don't think they'll want to admit "We're the rich and famous, we're always complaining, and we're getting married!" I hope that Benji no longer thinks that girls only like cars and money. Probably not the best choice. In this track the little things always get GC down, but perhaps it could be reversed in a positive way to mean — "The little things make me love you!" If all else fails, they may just wanna go with Nelly & Kelly Rowland's "Dilemma." Always a crowd-pleaser.